Spring can be the best time to do any home improvement project, with gutter installation at the top. That said, you should prioritize doing certain gutter projects first. In this post, Advantage Seamless Gutters discusses below what to consider accomplishing this Spring. First things first: if your home doesn’t have any gutters or you are still thinking about installing some, then you should make it a top priority. When properly installed, your gutters will prevent water from pooling near the foundation, eliminate the risk of basement flooding and prevent your walls or siding from getting moisture damage. You should replace your old sectional gutters with seamless gutters. Sectional gutters, since they come in separate sections, will eventually develop gaps that will leak and potentially damage your exterior. Seamless Gutters don’t come in sections; they are customized to your roof’s measurements. The biggest advantage to seamless gutters is that they don’t develop leaks. Similarly, prioritize cleaning the gutters. 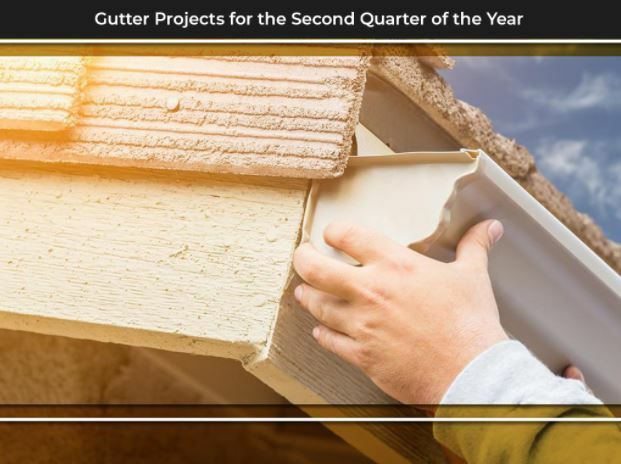 The first quarter of the year has mild temperatures so you shouldn’t expect rains yet; the perfect time to get rid of all the dirt, debris, and muck that has accumulated in your gutters. Regularly cleaning the gutters not only keeps the water flowing, it also prevents damage to the roof. If the blockage becomes too heavy in the gutters, the extra weight can pull down the edge of the roof and loosen the gutters. Advantage Seamless Gutters is a full-service gutter company. We offer a range of gutters, from standard half round gutters to seamless gutter systems. Call us today at (218) 212-1818 in Baxter, (218) 692-2663 in Crosslake, or (320) 421-8726 in Alexandria to learn more about our services.